Xisca lives in the digital world. She thinks the future is a bright and fascinating place and finds great joy in making things and exploring how people use them. The role of Global Digital Lead is well-suited to Xisca because it affords her the breadth to work across form and function, aesthetics and actuals, and to open doors within Conversant and our clients. Xisca believes that the future requires leaders to sit at the nexus of design thinking, digital interaction, and leadership values. She holds a Bachelor of Design, Industrial Design with First Class honors in Interaction Design from the Royal Melbourne Institute of Technology. For the past 5 years she’s worked with Conversant as an Experience Designer and Facilitator, and before that has worked across graphic, furniture, system and interaction design, and in project management positions. She also holds a teaching position at RMIT in the school of Architecture and Design, teaching design thinking and 3D-printing skills to students from across the University. 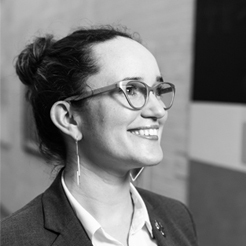 Xisca has served for the past 7 years on the Design Institute of Australia’s Victoria Tasmania Council, variously representing emerging designer, Experience Designers, and design leaders. Her Spanish heritage imbued her with a fluency in Spanish and Catalan and a keen interest in the languages of the world. She hopes this will be an on-going list, in order to be able to hold valuable conversations with the people she meets on her travels, and in the work she does with clients around the globe.